Not only is Argus Brewery a purveyor of craft beer in the Chicagoland market and beyond, but they have recently teamed up with a local pizza artisan to make a delicious line of Argus "Brewery Pizza". These pizzas use both the spent grains and brewer's yeast from Argus' brewing process to make the crust. We had the chance to try both the Chicago Sausage and Five Cheese varieties. Both featured all-natural, local ingredients including Wisconsin cheeses and Chicago made Italian sausage. The crust was neither the Chicago deep dish or thin crust style, which was a pleasant surprise. Instead what we found was a hearty pan-style crust. It was soft and doughy on the inside with a thin crunchy layer on the outside, showcasing the grain and yeast characteristics of it's ingredients, that you can actually taste. The sauce was thick and chunky with lots of fresh vegetables and just the right amount of spices. 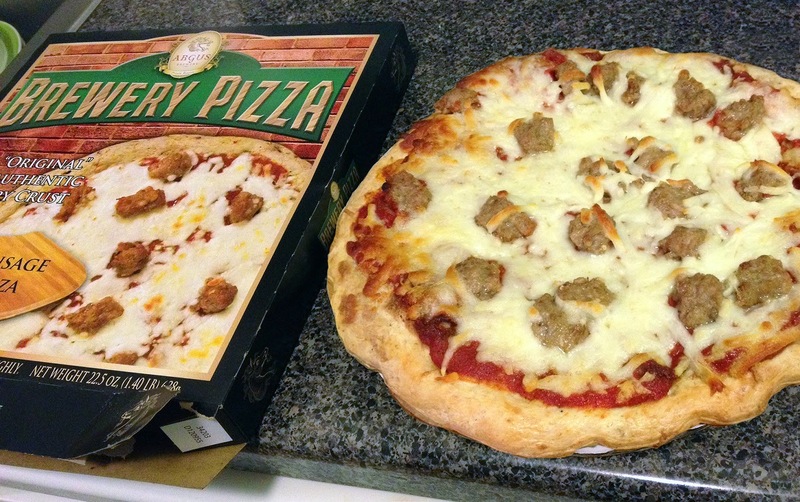 These were one of the few frozen pizzas we've had that weren't over spiced, under topped or dripping in grease. The flavors and textures tasted like something we would have made at home. And since beer and pizza are the perfect duo, we recommend pairing a nice American IPA with the Chicago Sausage and a crisp, clean German Lager or Czech Pilsner with the Five Cheese. The four varieties of Argus Brewery Pizza can be found at your Chicago Jewel supermarkets. For more information visit their website of follow them on Twitter at @ArgusPizza.